Our client is a Global Leading Professional Services Business with over 65,000 employees worldwide, annual revenues in excess of $15 billion and continuing to grow heavily through business acquisition.  Human Capital Ventures is proud to be acting as their preferred partner in the recruitment of a Software Asset Manager to play a key role in the integration of their newly acquired businesses on an initial 6-month consultancy contract. As Software Asset Manager you will be tasked with managing the inventory and transferring of software related assets from newly acquired businesses (Mergers and Acquisitions M&A). In conjunction with the M&A project teams, this individual will collect all the licensing statements (eg, contracts and proof of licensing) for the companies being acquired, conduct a thorough and accurate software inventory, coordinate the transfer of licenses and then help resolve any compliance issues. This individual will also review and refine the existing processes and checklists working with the Software Asset Management and Project Management teams. This individual will be responsible for engaging and assisting internal clients and Service Owners in understanding and controlling their software licensing and avoid any legal/compliance pitfalls. This includes initiating the software asset management conversation with the client, performing an inventory of installed software, matching software with license entitlements, reviewing policies and procedures, and creating a software asset management plan. 8-10 years of broad IT experience to include 5 years of software asset management experience in a large corporate environment, preferably in the financial industry. Proven abilities to manage server software licensing models and product use rights across major software vendors. Experience in working with high-value software contracts with vendors such as Microsoft, IBM, and Oracle. Experience working with IT asset management systems and IT asset discovery technologies. Knowledge of software asset management concepts, policies, procedures and techniques. Ability to balance multiple parallel priorities across the software life cycle/operations. Strong analytical, assessment and problem-solving skills. Understanding of software licensing/maintenance models. This is a great opportunity for a Software Asset Manager to gain exposure in a truly global environment working in the integration of multiple large-scale businesses.